Cululú-born striker, who was on verge of becoming Premier League club Cardiff City's record signing, believed to have disappeared in light aircraft over English Channel. 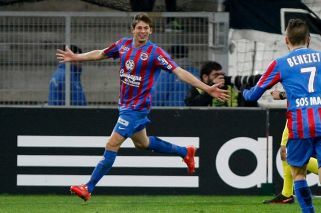 Premier League club Cardiff City's record new signing, Argentina-born striker Emiliano Sala, was on board a light aircraft that disappeared over the English Channel on Monday night, police sources have revealed. Sala, signed by the Welsh club on Saturday from French Ligue 1 side Nantes for a reported 17 million euro (US$19.3 million) fee, was flying to Cardiff aboard a small plane that disappeared from radars around 20 kilometres (12 miles) north of the island of Guernsey. "The search was terminated at 02:00 [hours], with all search and rescue assets being stood down, due to strengthening winds, worsening sea conditions and reducing visibility," the statement said. Helicopters from the British and French coastguard joined renewed efforts on Tuesday morning to find the plane which is thought to have crashed. The French regional maritime authority sent a search helicopter. "For me it feels special [to be the club's record signing]. I have come here wanting to work and to help my team-mates and the club." Sala, born in Cululú, Santa Fe province, made his debut in European football with Bordeaux. He began his career as a youth player with provincial side San Martín de Progreso, before joining San Francisco in Córdoba, a club affiliated with Spanish club Mallorca and Bordeaux, who he would eventually sign for aged 20.